In a couple of weeks I will be testing a minivan from one of GM’s rivals. It is certainly the most contemporary of any minivan on the market today. Aside from genuinely being a fan of the unbeatable practicality of a minivan, I am excited to try out its new tech. But despite this effort, the modern-day minivan’s availability in general is few and far between in manufacturers’ line-ups. In fact, there are only four to choose from today from the entire market. None of those are GM models. Back when the Uplander was attempting to fill the shoes of the unloved Venture, the SUV craze was in full-swing. Suddenly people who were relegated to minivans had a viable alternative that didn’t make them look like a walking, err, driving stereotype (think soccer mom). This was particularly interesting because at the time, GM had four minivans to sell to the public: the Chevy Uplander, the Pontiac Montana, the Saturn Relay and the Buick Terraza. And yes, in typical GM fashion, they were differentiated mostly by just a badge and thus, were essentially the exact same minivan. Most manufactures caught onto this trend of SUV love and quickly gave their ultimate people haulers the ax. All four minivans from GM were done. Their replacements? Large crossovers. 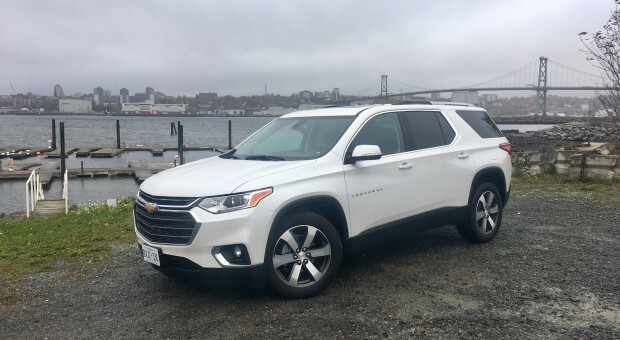 From the Chevrolet wing of GM came the Traverse – originally a bubbly (read: odd) looking thing that offered the added benefit of all-wheel drive availability. None of the aforementioned minivans offered that. Score one for the crossover. 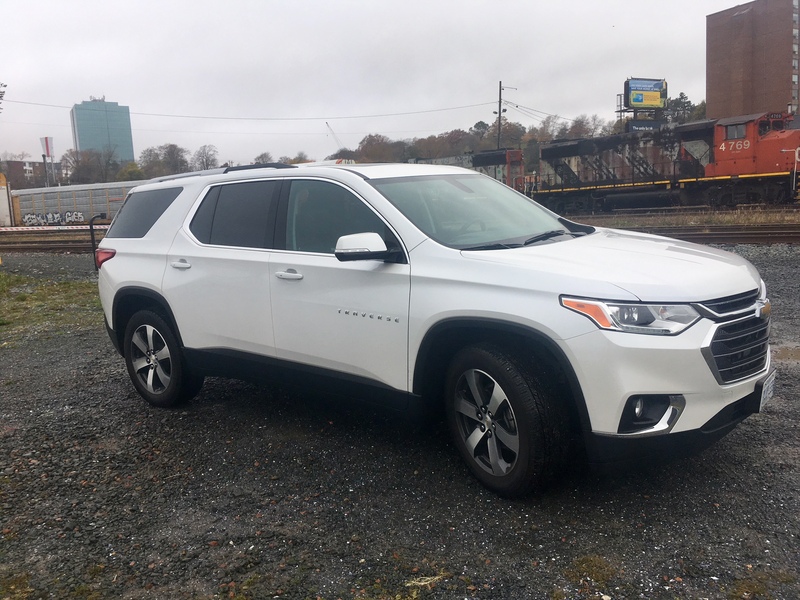 Now into its third generation the Traverse, so far, has yet to see the same fate of its ancestors. Crossovers and SUVs are still all the rage, but can they genuinely replace the minivan? It’s safe to say that this iteration of the Traverse is the best looking yet. It takes on less of a generic look and adds a fair amount of personality. 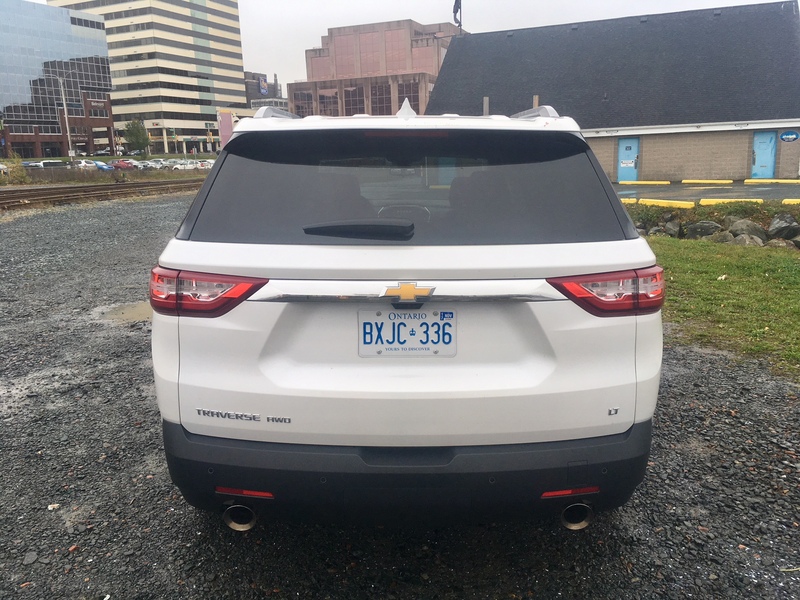 The latest styling cues from Chevy adorn the new Traverse. It bares much similarity to the smaller Equinox, but I consider it to be more successful in its delivery. This thing looks like a proper SUV with injected style. The Equinox, ironically enough, can look like a minivan from certain angles in this author’s view. 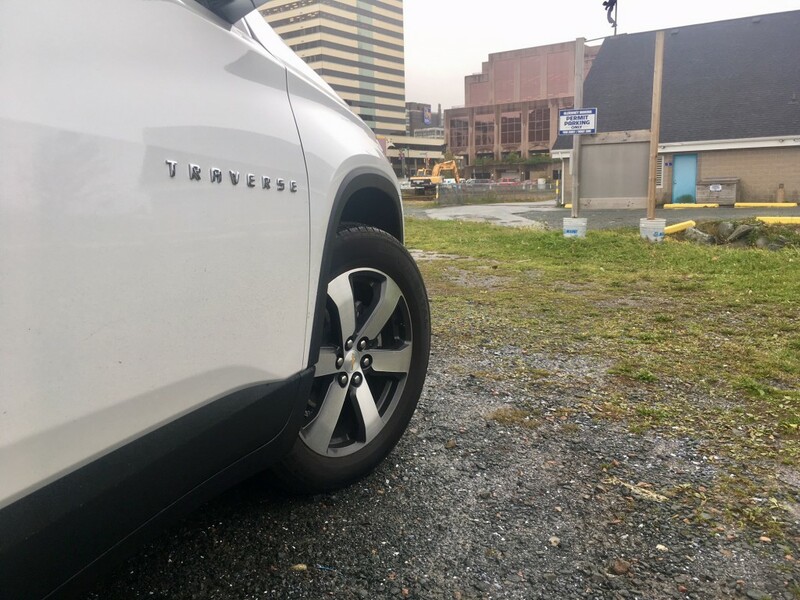 My tester’s ‘True North’ trim adds rather nice-looking 20-inch wheels, and the word ‘Traverse’ is proudly splashed along the side of the front doors. LED lighting in back helps complete the look. 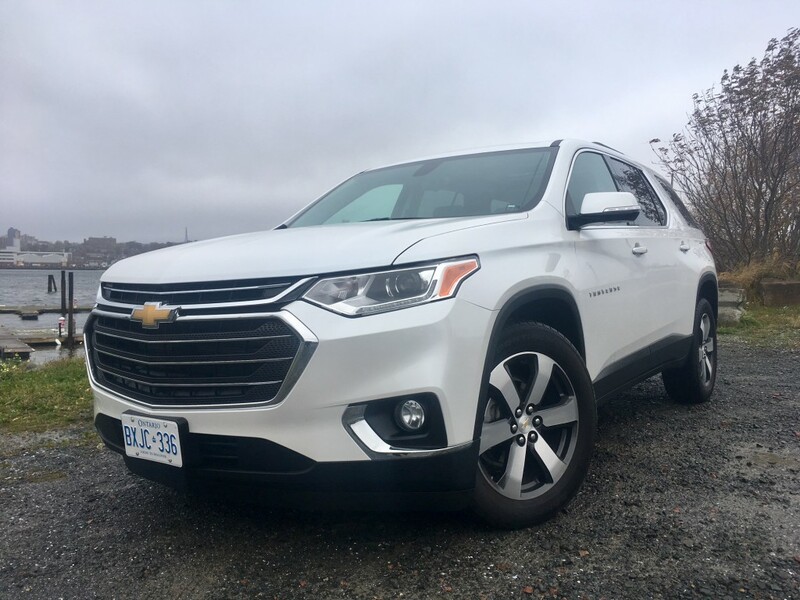 The Traverse actually has three head light options available: halogen, HID and LED. The re-worked interior doesn’t push any styling boundaries, but those who want a more conventional interior should be pleased. While the style doesn’t convey it, quality of materials are above par. 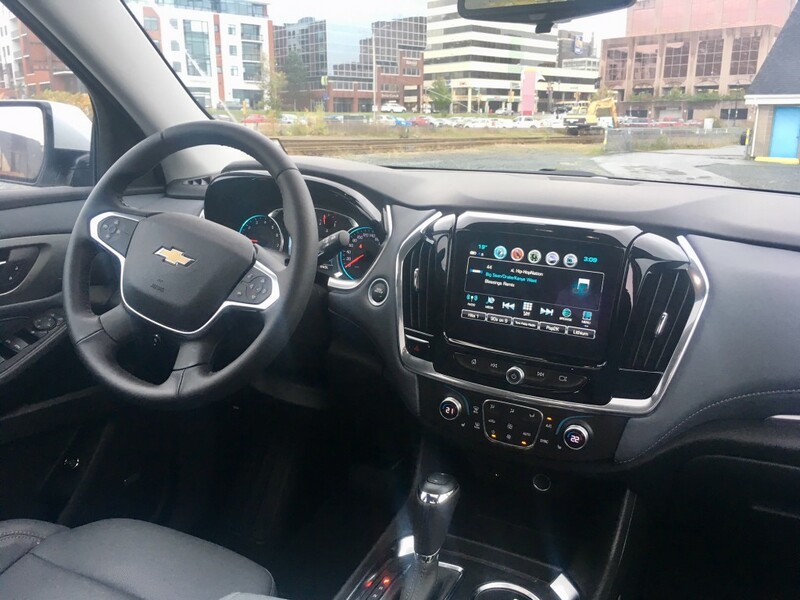 Thankfully, GM’s MyLink infotainment system is found here and it continues to work well with a logical set up and no lag when responding to commands. It also houses Apple CarPlay and Android Auto. In typical GM fashion, 4G LTE is available on board to handle all your connectivity needs. Other luxury amenities include (depending on the trim you select) heated and cooled seats, a heated steering wheel, a hands-free lift-gate, power folding third row seats, adaptive cruise control, surround vision camera, and wireless phone charging. As you’d expect, there is no shortage of passenger or cargo room, with plenty of head and knee room available for most, and a decent amount behind the third row (with a lot of added storage hidden underneath). With that said, there is more obvious interior space in literally any minivan on the market. Accessing the third row is easier in a minivan too as a result. You get your choice of two engine options: a 2.0 litre turbocharged four-cylinder, good for 255 horsepower and 295 pound foot torque or a 3.6 litre V6 which pumps those horses up to 310, but less torque is generated at 266 pound feet. My tester was equipped with the latter, which means it also has a new nine-speed automatic. The end result is a vehicle that isn’t blistering in its power delivery thanks to all that heft, but certainly more than adequate nonetheless. The new transmission is relatively smooth in its operation, doesn’t usually seem at odds with what the engine wants to do, and is generally unobtrusive. The same can be said for the Traverse’s on-road characteristics. It does what it needs to do without being overly showy about it. It’s quiet and comfortable – though those 20’s add an extra measure of road-feel. It is a large vehicle and it feels it on the road, but it doesn’t necessarily feel cumbersome either. 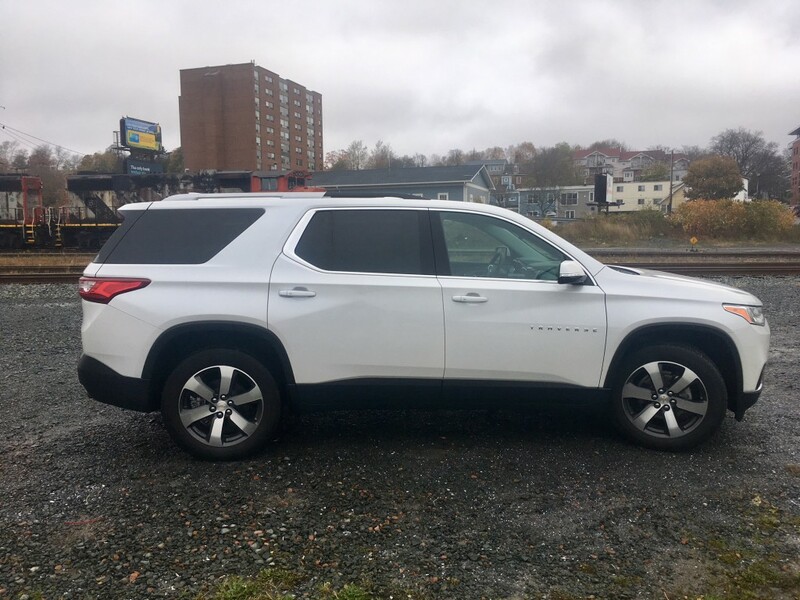 The Traverse is floatier than a minivan over bumps and other imperfections in the road but not overly so. Official fuel consumption numbers for the Traverse with AWD come in at 13.7 /100 kms city and 9.4 highway. I returned 12.5 L/100 kms in mixed driving. 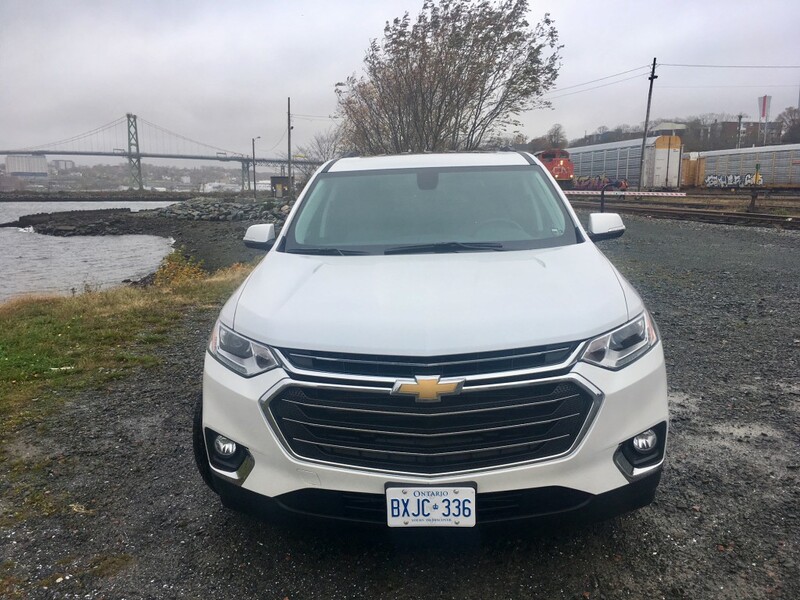 As with the Equinox, the Traverse comes standard with engine start/stop technology meaning the engine automatically turns itself off at a stop to save fuel and emissions and re-engages once you take your foot off the brake. Those who are not a fan of this feature are out of luck because there is no way to de-activate it. In the end, the Traverse proves itself to be a capable CUV which can now claim to be more on par with styling, quality and even tech. I still maintain that if shuffling large groups of people is your main priority then get yourself to a Honda, Toyota, Chrylser or Kia dealership and see just how much sense a minivan makes for you. 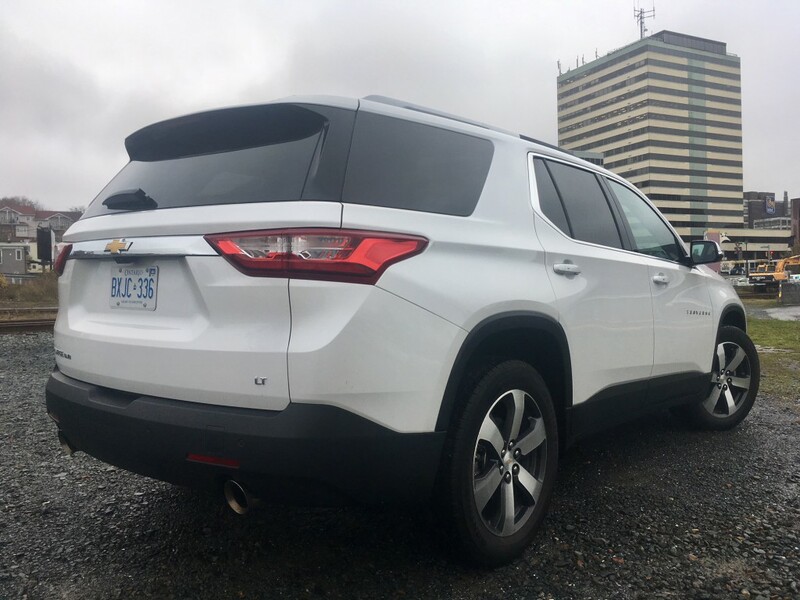 If you’re looking for something that’s more capable in adverse weather and varying road conditions, that can hold oodles of cargo and has pleasant looks to go with it, then get yourself into the Chevrolet dealership, because of all its direct rivals, the Traverse is now easily in the top three.